Click any cover to order! Duluth is a community of parks, with 170 separate greenspaces, sports facilities, and scenic boulevards comprising nearly 12,000 acres or roughly 25 percent of the city. 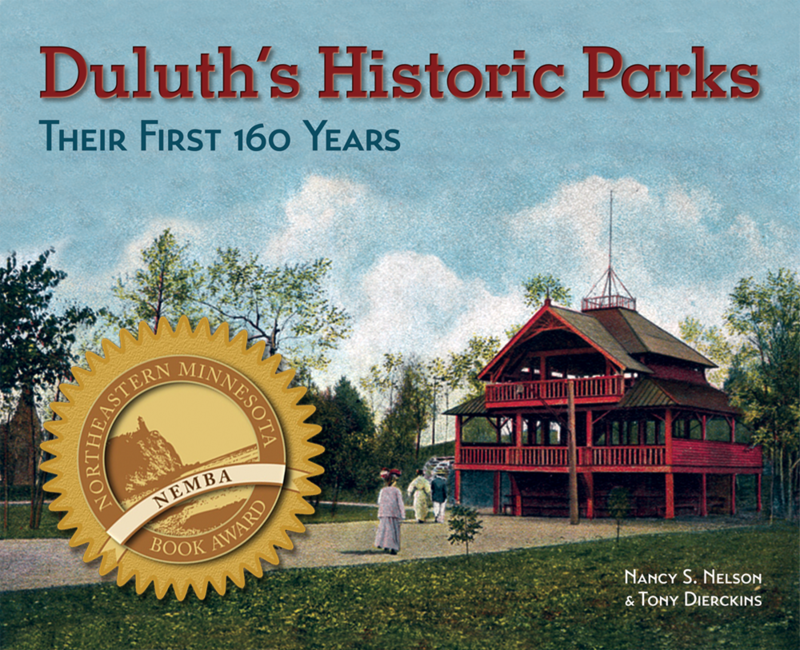 Illustrated with over 250 photographs, sketches, and lithographs, Duluth’s Historic Parks covers the creation and development of today’s Skyline Parkway and Duluth’s major historic parks—Lincoln Park, Chester Park, Lester Park, Fairmount Park, Leif Erikson Park, Congdon Park, Kitchi Gammi Park, Enger Park, Chambers Grove, Fond du Lac Park, Hartley Park, and parks located on Minnesota Point—as well as the city’s undeveloped parks, playgrounds, and sports venues, unfolding the story of how Duluthians from all walks of life gave their time, energy, and often personal wealth to ensure a quality of life and appreciation of nature that makes the Zenith City remarkable as one of the greenest modern communities in the nation, if not the world.